“Our forward-looking approach has absolute priority. Particularly in these volatile times, we are maintaining our focus on the future and taking the decisions that will lead to tomorrow's success," said Harald Krüger, Chairman of the Board of Management of BMW AG, in Munich on Wednesday. "We stand for trust and continuity. The BMW Group has more than 100 years of experience in dealing with transformation and volatility in a rapidly changing world. This is why we see challenging conditions as an opportunity to move forward and strengthen our position as market leader. We are implementing our strategy rigorously and investing extensively in the technologies of the future, despite today’s volatile environment," Krüger emphasised. Research and development expenses during the first nine months of 2018 exceeded last year’s corresponding figure by around € 400 million and totalled € 3,881 million (+11.4%). As previously reported, full-year R&D expenses are likely to amount to as much as seven per cent of Group revenues in 2018 (2017: 6.2%). This level of expenditure was reached in the third quarter, with an R&D ratio of 6.9%. At € 2,889 million, capital expenditure over the nine-month period from January to September was also up on the previous year (2017: € 2,817 million). In addition to ramping up the roll-out of new models, the focus is on expanding business in the fields of electric mobility and autonomous driving. As the world’s leading provider of premium mobility, the BMW Group puts the needs and desires of its customers first and is continuing its ground-breaking work on the four ACES topics (Autonomous, Connected, Electrified and Services/Shared). "We remain an ambitious company, setting ourselves challenging targets. 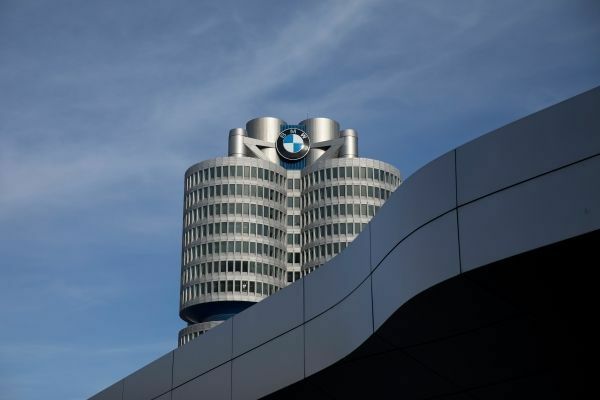 However, along with the rest of the industry, we are increasingly confronted with adverse external factors, the negative impact of which cannot be fully offset," commented Nicolas Peter, Member of the Board of Management of BMW AG, Finance. "The BMW Group is extremely flexible and we are countering these developments rigorously. We remain unconditionally focused on the issues of crucial importance for the future, while at the same time optimising our internal processes. The BMW Group's strong financial performance remains the basis for sustained success, enabling our company to play a key role in shaping the transformation currently taking place in our industry." Despite the current very challenging environment, the BMW Group’s Automotive segment generated free cash flow of € 2,042 million (2017: € 2,703 million) in the first nine months of the current year. In recent months in particular, the BMW Group has taken numerous key strategic decisions to underpin its future success on a sustainable basis. The BMW Group is bolstering its global production network, focusing keenly on Europe, China and the USA. In September, the four-millionth vehicle was produced at the Spartanburg plant in the USA, the Group’s largest manufacturing facility worldwide. This wide range is possible thanks to highly flexible vehicle architectures and an equally flexible global production system. Going forward, the BMW Group will be capable of manufacturing models with all-electric (BEV), hybrid-electric (PHEV) and conventional (ICE) drivetrains on a single production line. Its ability to integrate e-mobility in the production network enables the BMW Group to respond even more flexibly to the increasing demand for electrified vehicles. At the beginning of the third quarter, the BMW Group signed a long-term contract with the Chinese company Contemporary Amperex Technology Co. Limited (CATL) to supply battery cells with a value of four billion euros. The award of this contract was a decisive factor in CATL’s decision to build the world's most advanced battery cell manufacturing facility in Germany. From 2021 onwards, cells for the BMW iNEXT – which will be manufactured at the BMW Group plant in Dingolfing – will be supplied by the new CATL plant in Erfurt. The BMW Group has thereby anchored the entire e-mobility value chain in Germany – from battery cell production through to the finished vehicle. Furthermore the BMW Group is establishing a joint technology consortium together with Northvolt (a Swedish battery manufacturer) and Umicore (a Belgium-based company engaged in developing battery materials), thereby taking a further step to ensure access to the cell technology so vital for electric mobility. The collaboration will extend to the development of a complete, sustainable value chain for battery cells in Europe, including development, production and ultimately recycling. The recycling of battery components will play a key role: given the sharp rise in demand for battery cells, the consortium’s stated aim is to close the life-cycle loop of raw materials to the greatest possible extent with comprehensive recycling. As announced on 25 September 2018, several additional factors further restricted business performance in the third quarter. Unlike many of its competitors, the BMW Group implemented the requirements of the WLTP regulations at an early stage. The industry-wide shift to the new WLTP test cycle has resulted in significant supply distortions in Europe and unexpectedly intense competition, given that numerous competitor models without WLTP certification were registered before 1 September. As a result, within the framework of its flexible production and sales strategy and given its focus on earnings quality, the BMW Group decided to reduce its volume planning. At the same time, increased goodwill and warranty measures resulted in significantly higher additions to provisions in the Automotive segment. In addition, the ongoing international trade conflicts had the effect of aggravating the market situation and feeding consumer uncertainty. These circumstances resulted in unexpectedly severe distortions in demand and therefore pressure on pricing in several markets. Deliveries of the BMW Group’s three premium automobile brands during the first nine months of the year edged up by 1.3% to 1,834,810 units (2017: 1,811,234 units). Group revenues amounted to € 72,460 million (2017: € 73,324 million; -1.2%). Adjusted for exchange rate factors, the increase was 1.5%. As a result of the various adverse factors arising in the third quarter, combined with high levels of upfront expenditure for research and development, profit before financial result (EBIT) fell to € 7,224 million (2017: € 8,137 million; -11.2%). Profit before tax totalled € 7,883 million (2017: € 8,741 million; -9.8%) and, despite the reduction, was the second-best nine-month figure in the company's history. The EBT margin for the Group came in at 10.9% (2017: 11.9%). Group net profit amounted to € 5,788 million (2017: € 6,337 million; -8.7%). At 592,303 units, third-quarter deliveries to customers remained at the previous year’s level (2017: 590,415 units; +0.3%). Group revenues grew by 4.7% to € 24,743 million (2017: € 23,633 million). Profit before financial result (EBIT) fell to € 1,745 million (2017: € 2,384 million; -26.8%). Profit before tax (EBT) amounted to € 1,845 million (2017: € 2,503 million; -26.3%). The EBT margin for the Group came in at 7.5% (2017: 10.6%). Net profit amounted to € 1,405 million (2017: € 1,846 million; -23.9%). BMW Motorrad has revised its 2018 model range on a massive scale, adding nine new models. Production adjustments necessary during the ramp-up phase had a negative impact on deliveries during the first six-month period. In the first nine months of the year, a total of 126,793 BMW motorcycles and maxi-scooters were delivered to customers (2017: 127,818 units; -0.8%). Revenues totalled € 1,658 million (2017: € 1,827 million; -9.3%). Profit before financial result decreased to € 208 million (2017: € 282 million; -26.2%), resulting in an EBIT margin of 12.5% (2017: 15.4%). Profit before tax for the nine-month period amounted to € 205 million (2017: € 281 million; -27.0%). The Financial Services segment continued to perform well in the period from January to September 2018. In total, 1,422,558 (2017: 1,369,263; +3.9%) new credit financing and lease contracts were signed during the nine-month period. The contract portfolio with retail customers comprised 5,586,855 contracts at the end of the reporting period (31 December 2017: 5,380,785 contracts; +3.8%). Segment revenues totalled € 21,148 million (2017: € 20,769 million; +1.8%). Profit before tax for the nine-month period amounted to € 1,714 million (2017: € 1,793 million; -4.4%). The BMW Group confirms its current outlook for the financial year 2018. Automotive segment revenues are expected to be slightly below the previous year's figure. The EBIT margin in the Automotive segment is expected to be at least 7%. Group profit before tax is expected to show a moderate decrease from the previous year. Possible positive earnings effects from a regulatory approval and the closing of the planned mobility services joint venture in 2018 are still not reflected in the adjusted outlook. The factors triggering the outlook revision on 25 September 2018 will also have a significant effect on Group profit before tax and the EBIT margin in the Automotive segment in the fourth quarter. The BMW Group continues to target slight increases in deliveries to customers in the Automotive segment in 2018.